The BlackBerry Key2 LE has gone on sale in the UK from today, the handset is available in the UK for £349. The handset comes with a 4.5 inch display with a resolution of 1620 x 1080 pixels and a QWERTY keyboard. The new Key2 LE is powered by a Qualcomm Snapdragon 636 mobile processor and it comes with 4GB of RAM and a choice of two storage options 32GB or 64GB. The handset also features high end camera on the front and back. On the back of the device there is a dual camera setup with one 13 megapixel camera and one 5 megapixel camera. On the front of the device there is a single 8 megapixel camera for video calls and Selfies, the handset features Android Oreo. 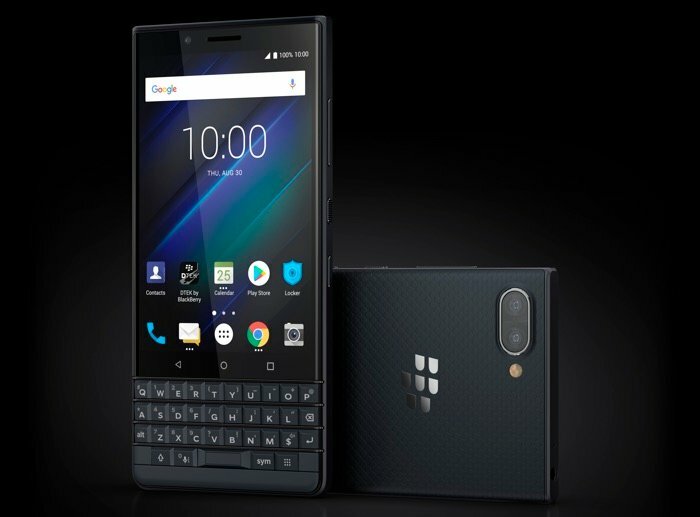 You can find out more information about the new BlackBerry Key2 LE over at BlackBerry Mobile at the link below.